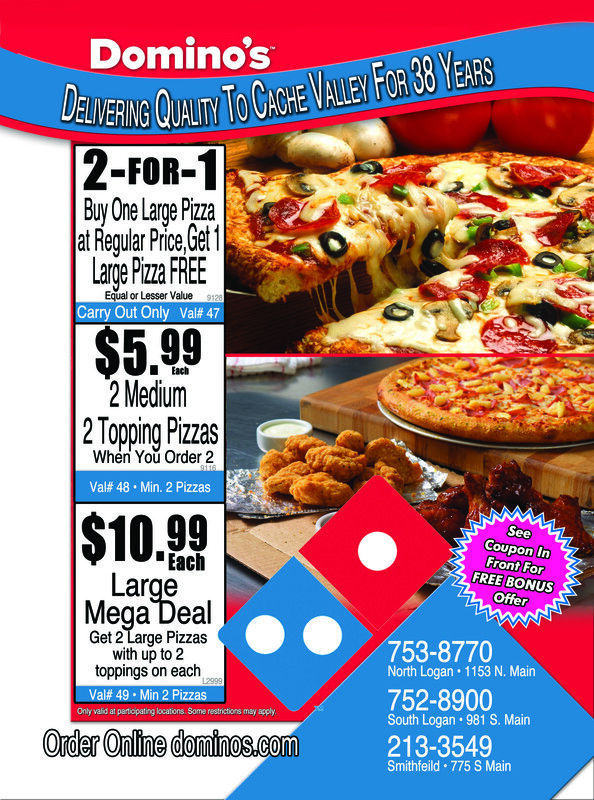 2 for 1 Large Pizza (val#47) 2 Medium 2 Topping Pizzas $5.99 Each (val#48) 2 Large 2 Topping Pizzas $10.99 Each (val#49) All offers carry out only. Some restrictions apply. See store for details.